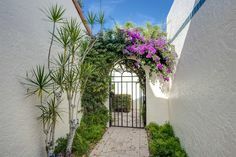 Among the Estate Homes of Venezia Grande Estates – (Vineyards most exclusive neighborhood) sits 636 Venezia Grande Drive. This meticulously thought out CUSTOM 4 bedrooms + Den Residence offers Custom Gourmet Kitchen, both Living and Family rooms with a Huge Master Bedroom and Luxurious Master Bath. 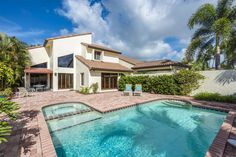 The Extra Large Outdoor Entertaining Area has a Custom Infinity Edge Pool, Plenty of Covered Lanai Area including a Custom Outdoor Kitchen/Bar with Barbeque, Ice Maker, Dishwasher and Brazillian Grill. The extra large 4 car air conditioned garage comes with added custom features for the most particular of auto enthusiasts. A gas fireplace, underground LP propane gas tank, Lutron lighting system, central vac, security system and 3-zone a/c complete this unique and luxurious home. The unparalleled quality, detail and finishes will please the most demanding homebuyer.